Launching Analytics Vidhya Secret Santa - Kick start 2017 with this gift! Home Analytics Vidhya Launching Analytics Vidhya Secret Santa – Kick start 2017 with this gift! 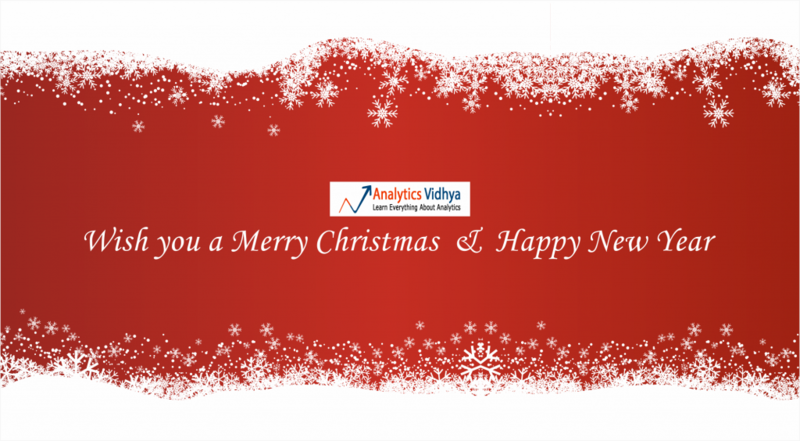 Launching Analytics Vidhya Secret Santa – Kick start 2017 with this gift! The first things which come to my mind, when I think about Christmas are holidays, family time and festivities! Yes – it is that time of the year. For us at Analytics Vidhya, our community is our extended family. Helping you learn is like breathing for us and ultimately seeing you grow in your career is our growth. If you were to judge by amount of time spent, then Analytics Vidhya would be our primary home. So, it is only natural that we do something special with our community members to mark the arrival of Santa Claus! Don’t worry, we are not thinking of doing hackathons during this holiday season (although that could be fun!). We are actually playing Secret Santa with our community members (sshhh! Don’t tell any one yet). How do you play Analytics Vidhya Secret Santa? Tell us what you want from Analytics Vidhya in 2017. 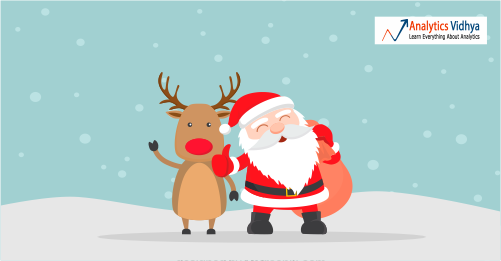 Once you do so, Santa will pull out a small little gift from Analytics Vidhya, especially for you. Hope you enjoy these gifts from our Secret Santa. If you like them, do leave gifts for us in the comments section below! I received reference for statistics. Wonderful! Thank you. This is indeed immensely helpful. Thank you very much ! Nice.., Valuable gift.Thanks very much. Interesting idea. I really love AV articles. Great idea! Looking forward to learning more from AV in the new year! Best wishes! Valuable gift. Thanks a ton for a great initiative 🙂 !! Great idea and gift too…Thank you so much.